Abstract Submission has closed. Abstracts were due November 7, 2013. We invite abstracts for 60-minute panel sessions, 20-minute paper presentations, and posters that address issues at the intersection of medicine and religion, including but not limited to the conference theme. We also invite student participation in an essay contest. A panel session should incorporate more than one perspective on a cohesive theme. The perspectives should compare and contrast and build on one another. A moderator should also be designated. A paper session should be a structured discussion or lecture based on a paper or a work-in-progress. The work presented may be empirical or theoretical, descriptive or normative. One or more authors may present, but either the first author or the senior author must present. A poster presentation should demonstrate or explain a concept, work of art, or empirical research project. Student essay submissions should be full papers of no more than 6,000 words, relevant to the conference theme. The winner will receive complimentary conference registration and travel. The central content of presentations should be based on material that has not been published previously, or has been published within the past three years (after March 1, 2011). All proposals must be submitted online by 4pm CST, Thursday, November 7, 2013. 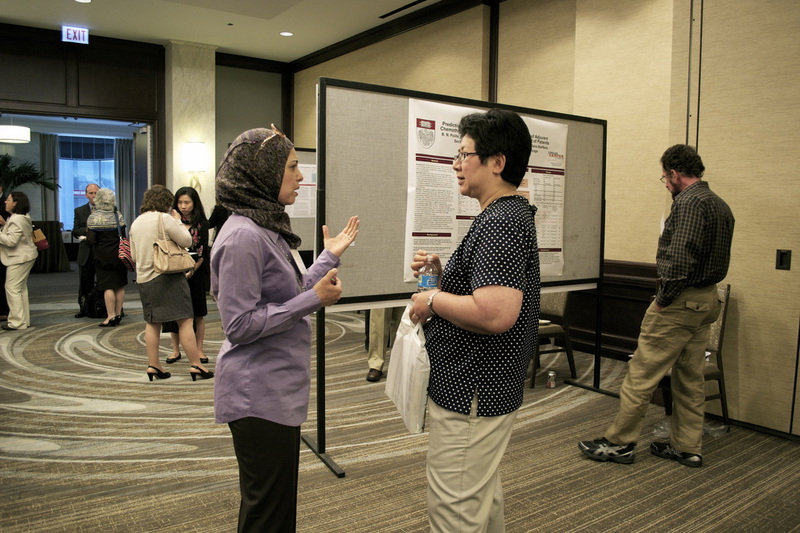 Poster presentations at the 2013 Conference.